11 Travel Hacks Everyone Should Know!!! We can’t sell you flying carpets, but we can tell you these 11 hacks that will make travelling just as easy and so much more enjoyable. Roll your clothes while packing, instead of folding them. No, this is not a myth the space saved is quite measurable. It presses out air pockets and stretches out wrinkles, compactly packing all your clothes. Reuse plastic packaging of home items or cling wrap to cover the mouths of your toiletries before screwing their caps on, to prevent them from leaking and creating a mess in your luggage. Travel light and pack fewer clothes. Carry clothes that dry quickly so that washing them in the night will give you a crisp set to wear in the morning. Nylons, polyesters, rayons and cotton-polyester blended fabrics can be your saviours. Gear up your phone with the right apps and it can be your best friend while travelling. From maps and restaurants to flight trackers and language translators, your smart phones will have them all. Keep scanned copies of your important documents in electronic form. Mail yourself a copy too, just to be doubly sure. Carry lots of plastic bags and newspapers. There is no end to their utility! User review websites have changed the way we now plan a holiday. Make best use of them. But remember to use discretion- see if the reviewer shares your temperament, check how recently the review was posted and look out for any shared photographs. Follow a traveler blogger and shoot him personal queries for his insights. Split your cash and stash them in different places. Instead of buying a new bottle of water at the airport because you cannot carry water through security, carry an empty travel bottle and refill it after checking in. Save an empty bottle and do your bit for the environment. Carry medicines to handle any unprecedented sickness. Pack in your first aid supplies, pain killers, antacids, anti-fungal/ antibacterial creams, prescription drugs, antibiotics prescribed by the doctor for ailments like motion sickness, cough, flu, fever and allergy. 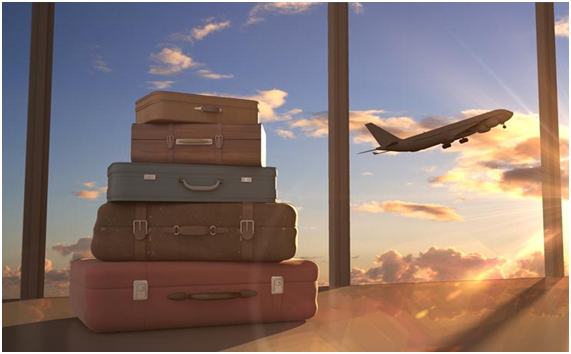 Customise your luggage so they are easily spotted during baggage claim. Use different colored duct tape on handles, colored ribbons or charms and make that boring bag lively!